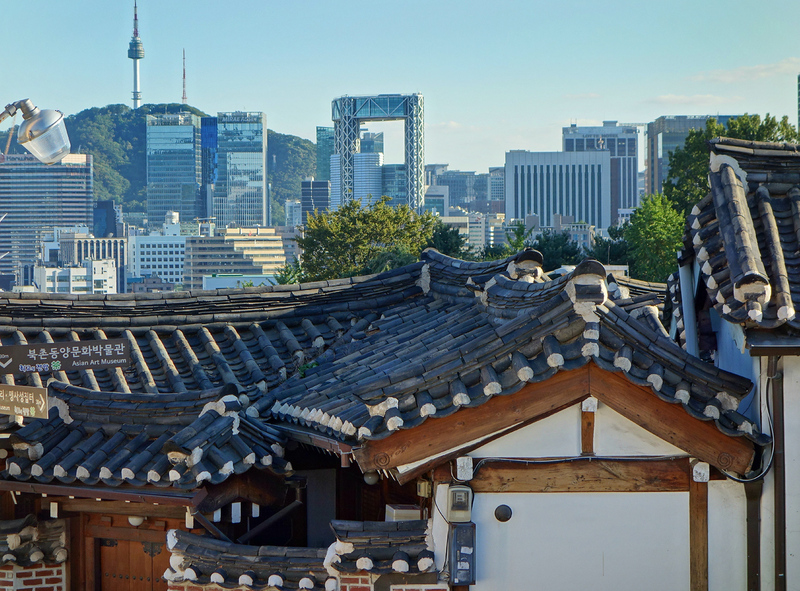 Over the rooftops of Bukchon is a view of modern Seoul, with the Seoul Tower on Namsan Mountain. Bukchon (which means “North Town”) backs onto the mountains, giving it hilly streets and great views. It’s a wonderful place to wander through the narrow streets and alleys, appreciating the craftsmanship and simple beauty of the hanoks. Bukchon Village was formed during the early Joseon Dynasty (1392 – 1910) and was originally home to noble families and high-ranking officials. During a housing shortage in the early 20th century, larger plots of land were filled in with smaller homes. These are called reformed hanoks, as they incorporate modern materials such as glass and western tiles. In the 1970s developers began tearing down hanoks to replace them with modern structures. 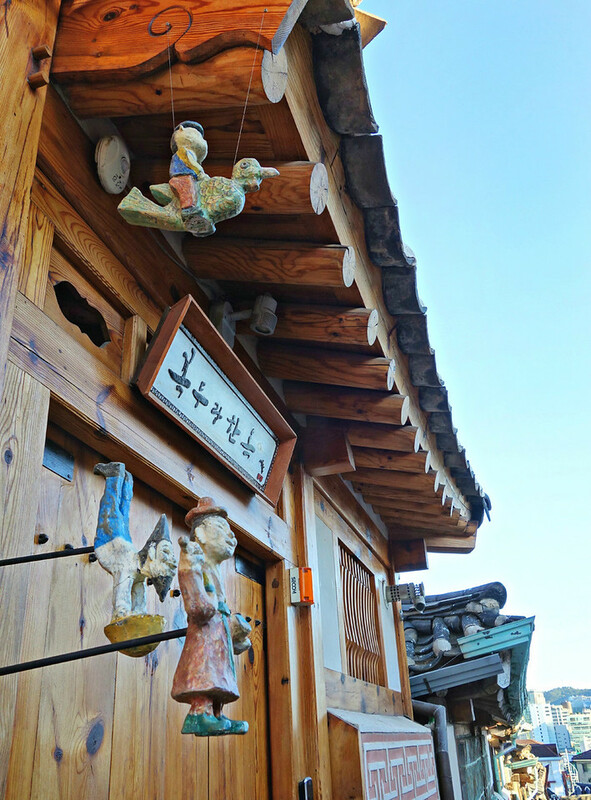 But recently Seoul has recognized Bukchon for its cultural significance, and the hanoks are appreciated and preserved. 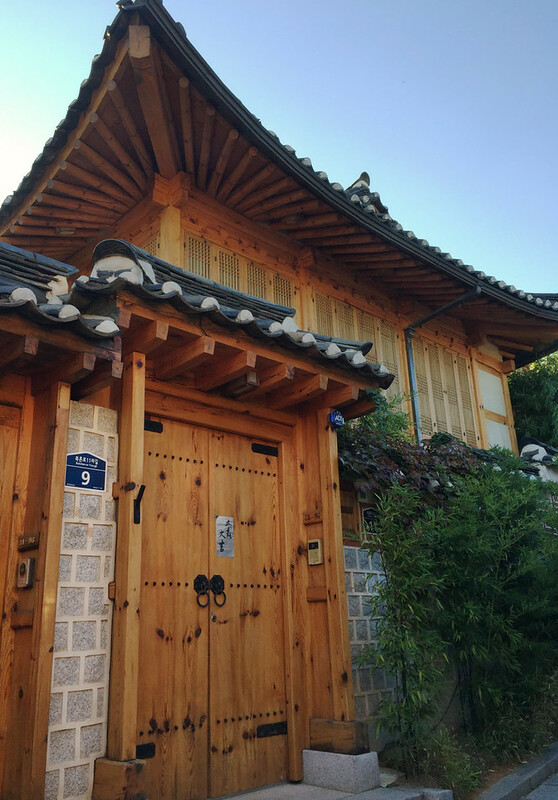 A hanok is a home built in a traditional Korean style of architecture. Han means Korea, and hanok literally means Korean house. 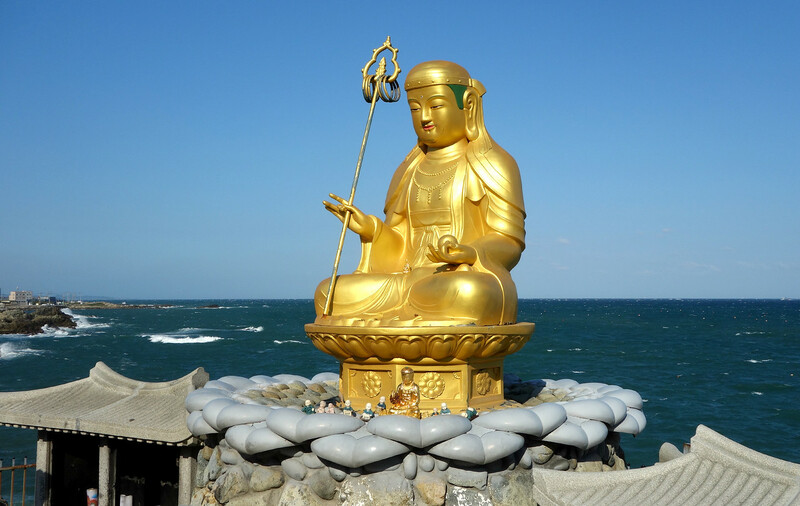 Hanoks are similar in appearance to other Asian structures, but there are differences that make them uniquely Korean. Although palaces are highly decorated, hanoks are usually left natural. They blend in very well with natural surroundings, as they are constructed of wood, stone, and paper, with a tile roof. Hanoks are also characterized by deep eaves. 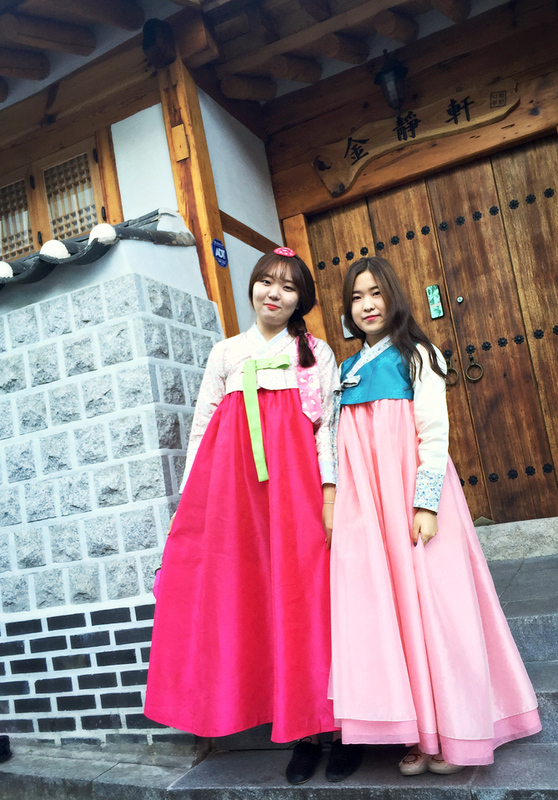 Girls in traditional Korean dress (Hanbok) for a special occasion. 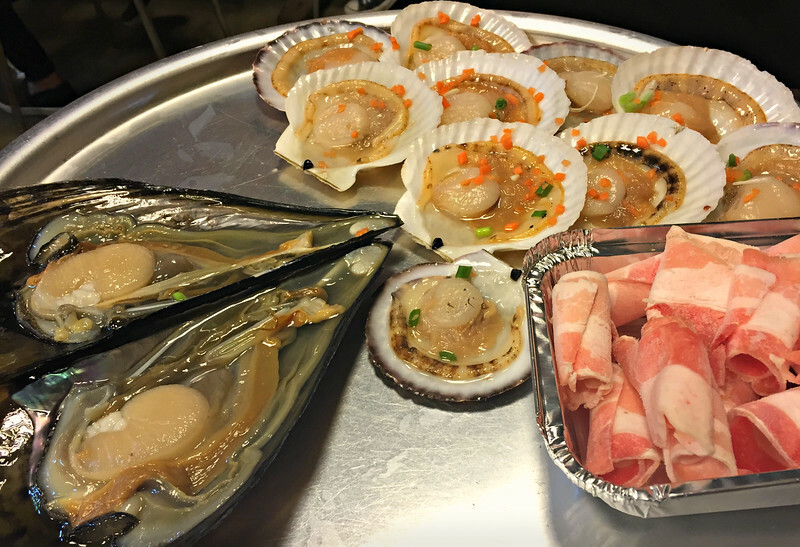 A main feature of hanoks is the efficient combination of ondol and maru floors that keep the temperature comfortable in Seoul’s variable weather. Ondol is a heated stone floor that keeps the occupants warm in cold months and maru is a raised wooden floor that remain cool in hot weather. Rooms often surround an inner courtyard. The maru room is usually in the center of the home, and is like a living room, larger, and used for receiving guests. Its wooden floor is raised so air circulates keeping it cool in hot weather. Sliding doors and hinged doors are able to open for circulation or close for warmth and privacy. The ondol rooms are off the maru room and used for sleeping and eating. 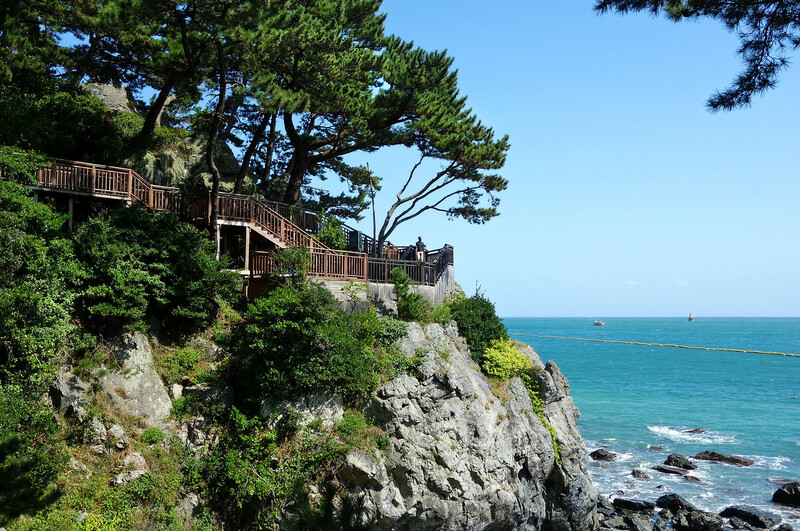 Ondol floors have existed in Korea since prehistoric times, and are made up of large stones covered by clay. Under the floor are flues that carry hot air from a fireplace in the adjoining kitchen. The kitchen is slightly lower so the hot air rises through the flues to the chimney on the other side of the ondol floor, heating the large stones. These stones retain heat for hours heating the room and keeping the occupants cozy. 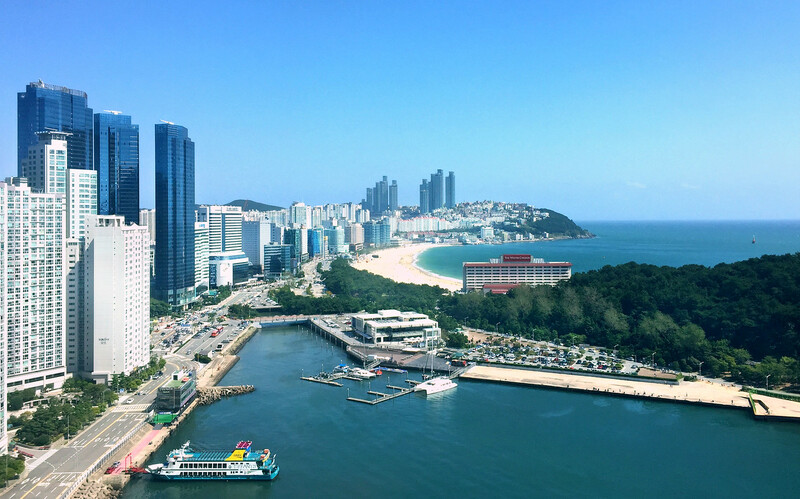 In Korea today, even modern high-rise apartments usually have heated floors. The floor may be heated with hot-water pipes heated by gas or electricity, but are inspired by the traditional ondol system. Warm floors are part of the reason Koreans often sit and sleep on cushions directly on the floor. Because they sit on the floor, Koreans always remove their shoes before entering a home. Hanoks are constructed mainly with wood, stone, and clay. Hanoks are also characterized by deep eaves, which create shade in the summer when the sun is high, but allows the sunlight to enter in the winter when it is lower on the horizon. Because of space limits, eaves in reformed hanoks are more compact. In a traditional hanok, interior surfaces, windows and doors are covered with hanji, a strong, translucent paper made from the mulberry tree. It has the benefit of insulating the room while letting in sunlight. Today many hanoks have added modern materials such as glass in the outer windows. 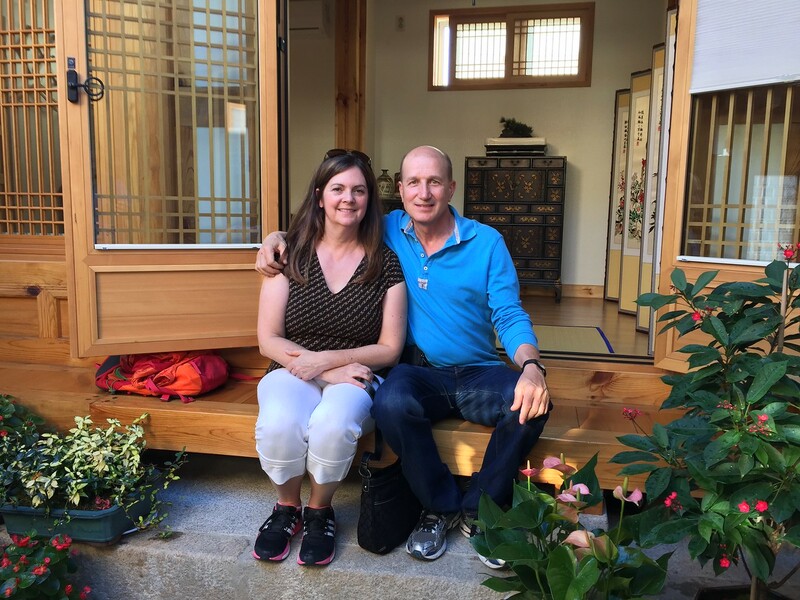 If you really want to immerse yourself in Korean culture you can rent a room (often including breakfast) in a hanok. The lady who runs this soon-to-be-opened Bukchon guest house (below) let us take a peek inside. For myself I prefer western beds, but it would be fun to spend one night. 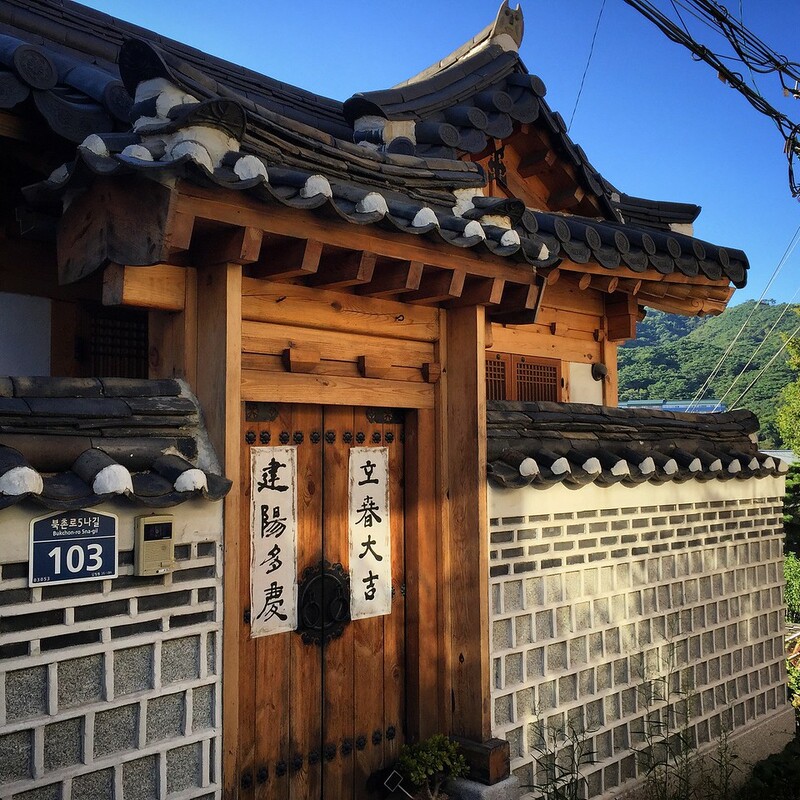 The lady who runs this soon-to-be-opened Bukchon guesthouse let us take a peek inside. 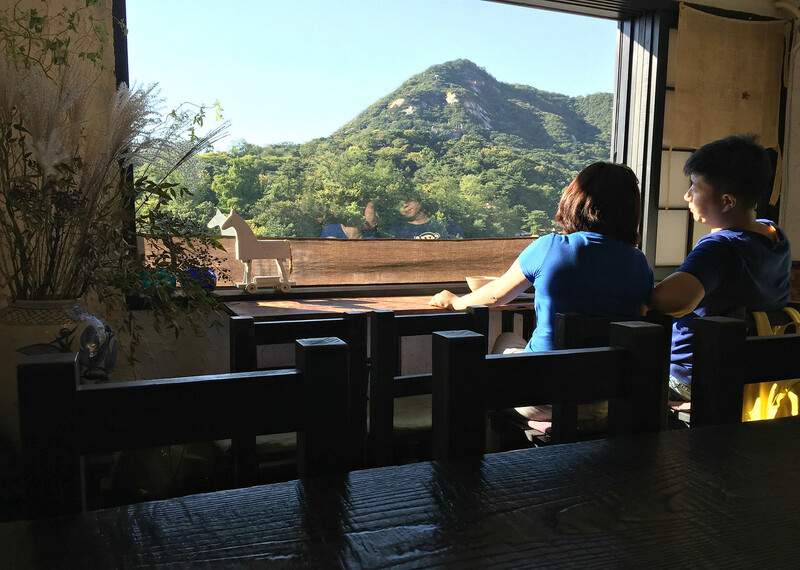 We stopped for a break in this traditional tea house, which takes full advantage of the mountain view. 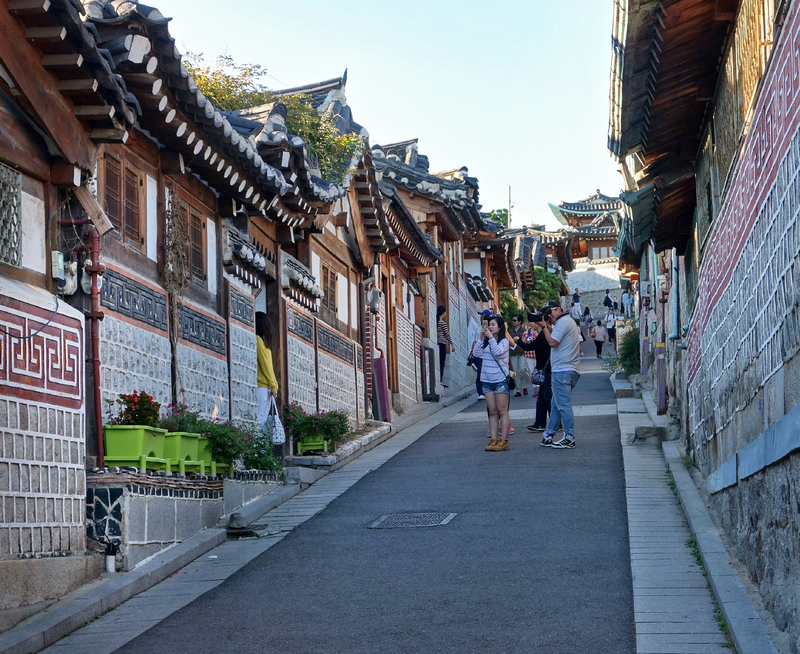 Although they welcome visitors, Bukchon is a living residential neighbourhood and most hanoks are people’s homes. 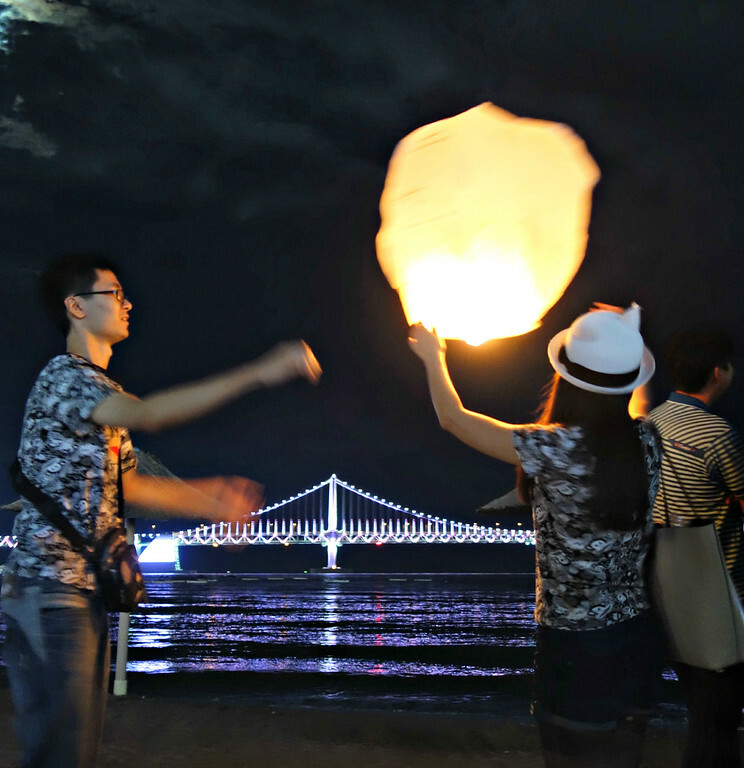 Sometimes tourists are a problem in the area, so please respect peoples privacy and don’t make too much noise, especially if you are walking through in the evening. Although visitors are welcome, Bukchon is a living residential neighbourhood and most hanoks are people’s homes. Today in Bukchon there is a charming contrast between the old and new, and the galleries, restaurants and tea houses make it a popular spot for both Seoulites and visitors. 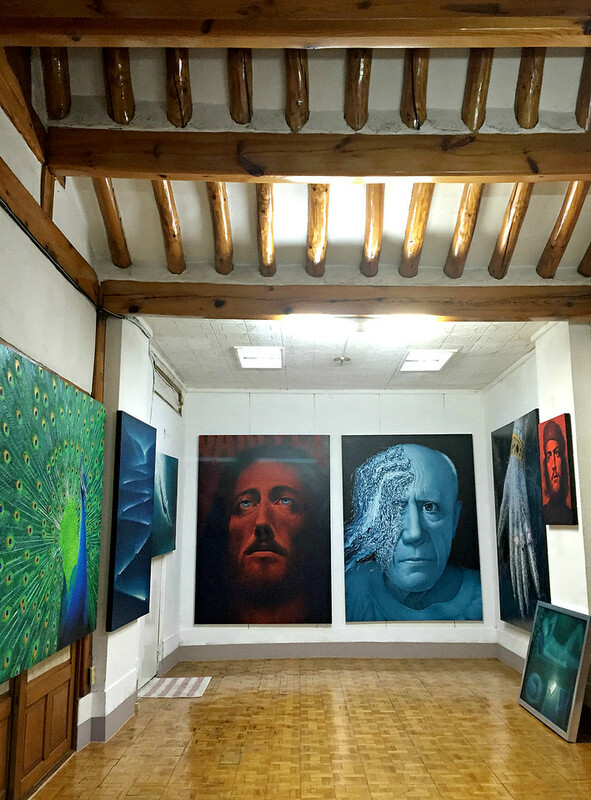 A modern art gallery in Bukchon. Anguk Station (Line 3), Exit 2. (5-minute walk) About one block straight ahead is a tourist information center where you can pick up a Bukchon walking map. 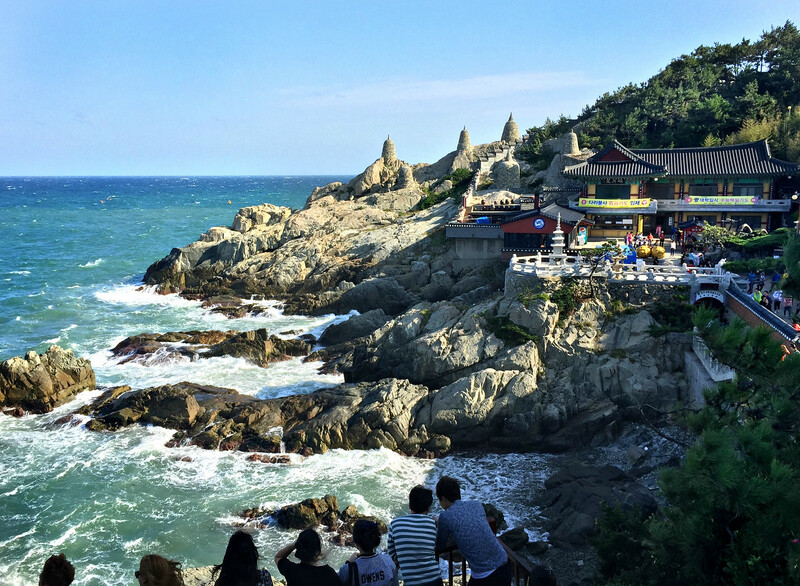 Want to see more traditional Korean architecture? Gyeongbokgung Palace, built in 1395, which was the main royal palace of the Joseon Dynasty. 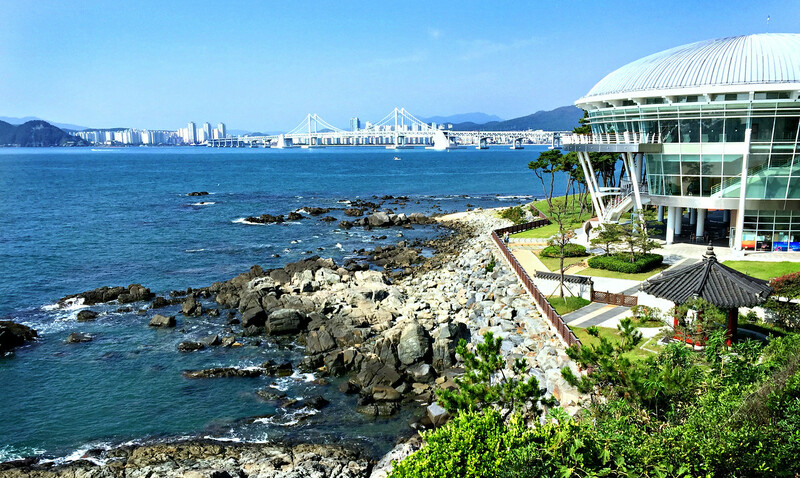 The Blue House, which is the executive office and official residence of the South Korean President. Insadong: a trendy area with antiques shops, artisan goods, galleries, cafes and restaurants. The main street is Insadong-gil with smaller alleys and roads connecting to it. 시크릿 가든은 내가 좋아하는 한국 드라마입니다. Secret Garden is my favorite Korean drama. The Korean alphabet, Hangeul, was invented by King Sejong in 1443, and it’s really not that hard to learn. If you want to give it a try, check out Jenny’s Korean on youtube. In the meantime, below are phonetic translations of some useful words and phrases.